Michael's hair is slowly growing in. 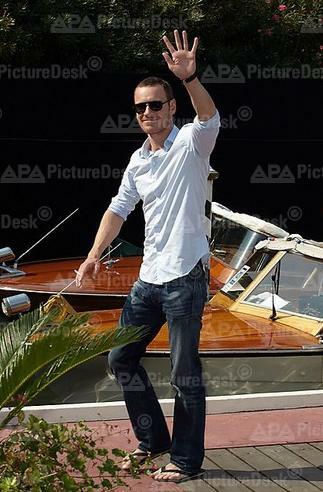 I love it when he wears flip flops, it's such a casual and comfortable look. Hooray, Michael's hair is growing back to it's natural dark ginger. Reviews I've read so far for"A Dangerous Method" have been positive. I can't wait to see it since I'm a Jungian! So funny that I know where these pics have been taken because every summer I stay in the hotel where the film festival is held! 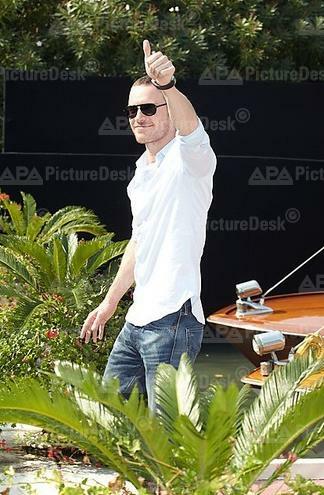 I can't believe that Fassy is walking around the same place that I go to every year!!! !